TME has extended its offer to include complete sets of industrial connectors. 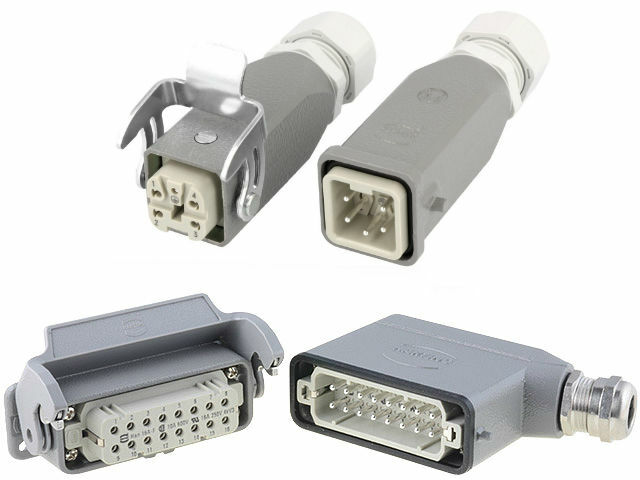 Han Kit series allow you to choose the appropriate connectors without specialist knowledge of the constituent components and the necessity of choosing individual elements. Just select the right amount of contacts and rated current connectors and decide whether you want to use a cable - cable or cable - panel connection. The customer receives a ready-to-mount kit. Besides the standard screw terminals, also available are versions with special vibration-resistant spring clamp Han-Quick Lock, which allows for quick, tool-less connection of cables. You can choose kits with insert systems from 3+PE up to 24+PE with rated current of 10 A or 16 A. The kits also include solutions with an innovative locking system and modern design - Han Yellock series.